The hype of healthy lifestyle gives superfood a bit of the moment. Seeds with all the loaded nutritional value seem to take part of this food scene. Before getting to the dietetic side, I think it is important to know what seeds actually are. Seeds are plant embryos covered by protecting seed coats. As part of human’s diet, edible seeds have important roles as the most of our calories come from them. What people obsess about healthy food is the high content of protein, healthy fats , and dietary fiber. Seeds happen to have it all, even with addition of more nutritional substance as vitamins, minerals, and antioxidants. Here are the facts of their nutrition basics and some ideas to include them to your meal. Do not underestimate their size. Chia seeds are one fine superstar of healthy seeds realm. It is loaded with omega-3 fatty acids, carbohydrates, protein, dietary fiber, antioxidants, and calcium. Chia is also a good source of minerals as well as vitamin B1, B2, B3, and B9. Chia with its mild flavour is popular as a topping of smoothies, breakfast cereal, yogurt, and also sprinkles on baked goods. The hydrophilic seeds can absorb 12 times their weight of liquid. It creates gel-like coating with unique texture when soaked, almost like pudding. The gel is believed to be a good hunger control although researches have yet to affirm this benefit. Flax seeds – either brown or gold – are high in protein, dietary fiber, several B vitamins, and omega-3 fatty acid including alpha linoleic acid (ALA). They are also packed with minerals; especially magnesium that will keep you energized the whole day. However, what makes them special is their highest content of phytonutrients called lignans among other plants. Lignans provide antioxidants and fibers benefits for human body. Flax seeds are best grounded to make it easier to digest. Due to their high content of oil, grounded flax seeds have to be refrigerated. Add them to your breakfast cereal or yoghurt. You can blend them to your mayonnaise as well. Mixing them into baked goods will not hurt at all as heat does not appear to reduce their amount of ALA.
Sunflower seeds are favoured as a kind of healthy snacks. However, many of us take their nutritional value for granted. Sunflower seeds are actually rich in protein, fiber, monounsaturated and polyunsaturated fat , as well as all B vitamins. They are also dense in vitamin E that neutralizes free radicals as well as phytosterol and magnesium that reduce blood levels of cholesterol. Although the seeds are already perfect for snacks, you can also add them to your meal. Sprinkle them as garnishes onto various recipes can elevate your dish to another level. The sprouted seeds are also perfect as additions for salad. Similar to sunflower seeds, pumpkin seeds are commonly enjoyed as healthy snacks. They are loaded with protein, fiber, niacin, iron, manganese, magnesium, phosphorus, and zinc. 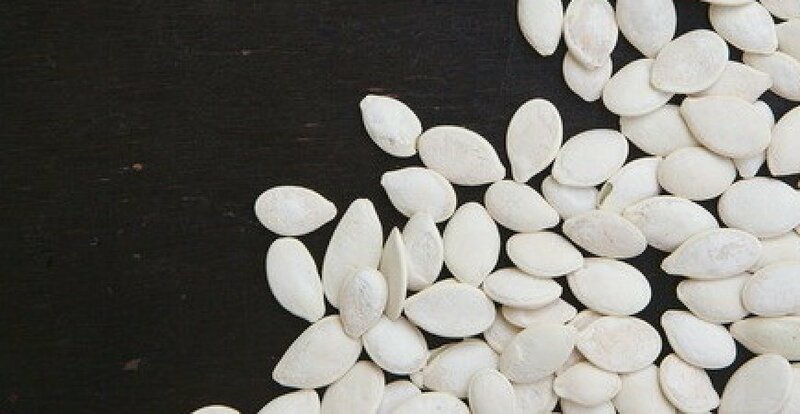 Pumpkin seeds have wide diversity of vitamin E including alpha-tocomonoenol and gamma-tocomonoenol, two varieties that can only be found in these seeds. For making them even better, they are the only seeds that are alkaline-forming while almost all seeds are acidic. To eat them as snacks, roast them for no more than 20 minutes in the oven. Other than that, undesirable changes of fat structure would likely to happen intermittently. Incorporating them to baked goods will also enhance the flavour and texture. Tags: seeds, superseeds, superfoods, superfood, superseed, healthy food, healthy seeds.